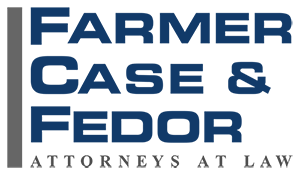 Lauren R. Presser is an Associate Attorney at Farmer, Case & Fedor. Ms. Presser joined the firm with experience in general civil litigation, corporate law, class actions, corporate defense, and real property law. Ms. Presser has been on both sides of the courtroom: representing both several high profile corporate defendants and also initiated several plaintiff’s side class action law suits against corporations. Ms. Presser’s focus is on general civil litigation with concentration in the areas of vehicular liability, insurance coverage, and bad faith actions. Ms. Presser is actively involved in her community as a member of the San Diego Defense Lawyers as well as the San Diego County Bar Association’s Appellate Practice and the Labor and Employment Group. Previously, Ms. Presser was involved with Lawyers Club and La Raza. In her spare time, Ms. Presser volunteers as a Mentor at her alma mater University of California, San Diego, providing career guidance to those students interested in pursuing a career in law and/or politics. As a law student, Ms. Presser was on the board for La Raza and participated in the Appellate Clinic, wherein she successfully appealed a case involving the Americans with Disabilities Act in the 9th Circuit, while also participating in Field Studies in Cuba and the Cayman Islands. Prior to Law School, Ms. Presser successfully co-founded a technology-based company in San Diego, California, which is still in existence today. Ms. Presser’s diverse heritage and background drives her passion for helping clients obtain the best representation they can. Ms. Presser is a practitioner who cares deeply about the firm’s clients and their legal challenges. She is committed to providing services which provide a resolution to the cases that the clients are happy with by effectively using her time and regularly maintaining contact with the client.